℗ 2015 Rounder Records, a division of Concord Music Group, Inc.
"Led by bright fiddle and tight, interlocking harmony vocals, the (title) track is a wide-eyed tribute to the magic of discovering music over the airwaves, with sly references to other songs salted into the lyrics." 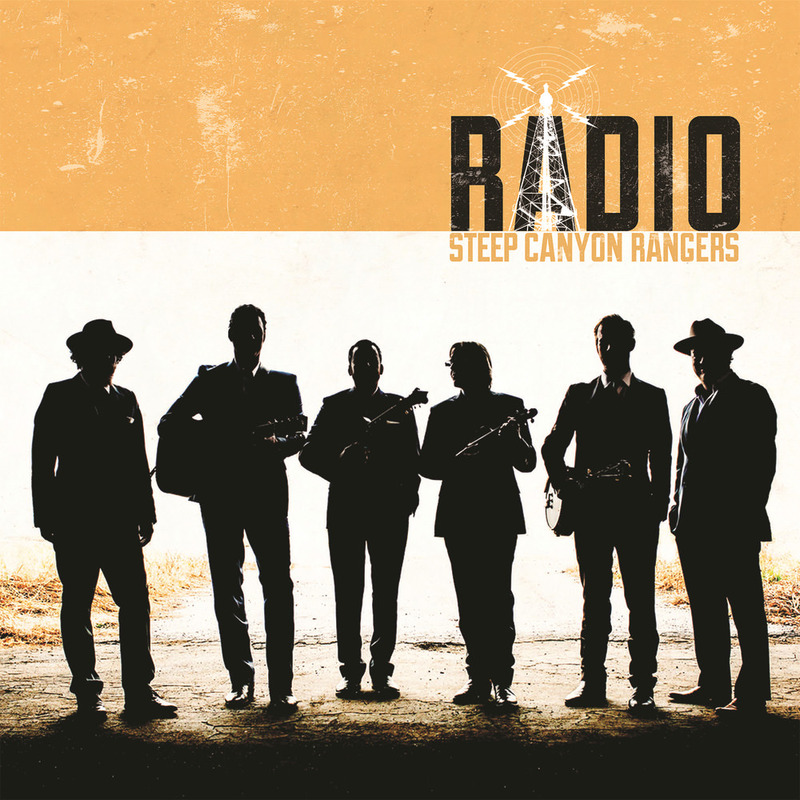 Grammy-winning bluegrass band Steep Canyon Rangers has perhaps become best known for an ongoing collaboration with comedian and banjo player Steve Martin, who makes many guest appearances with the group. While Martin does not perform on RADIO, the album marks the first time the band has recorded as a six-piece outfit, joined by percussionist Mike Ashworth, who adds a new and novel voice to the group and diversifies the SCR sound. "RADIO travels the dial from top to bottom. The album tunes into the rock channel for a little while, then the blues, then country, pop and, of course, bluegrass ... a bit of a tribute to all the music that we’ve fallen and will continue to fall in love with. We trace our lives through the songs that we sing, here’s what the last year sounds like for us."